The lectionary is a set of readings that establish the various seasons of the Christian Church Year. 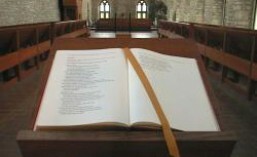 The Historic Lectionary follows a one-year cycle that retains the traditional order of Epistle and Gospel readings used by Lutherans before the adoption of the newer three-year lectionaries. This lectionary is “historic” in that it has been used by many Lutherans since the sixteenth century and that it reflects much of what was common in the medieval practice inherited by the Lutheran reformers. The Latin names are retained for many of the Sundays. This post is designed to be an aid in understanding the Sunday-names used in the Historic Lectionary. There may be celebrated as few as two Sunday after the Epiphany and as many as six. The actual number is determined each year by the date of Easter. The Transfiguration is always celebrated as the Last Sunday after the Epiphany. The number-names of the Sundays in this short season do not correspond to exact periods of time before Easter, but rather are meant to designate general markers as the Church journeys toward her annual celebration of Christ’s resurrection. From the first Sunday of Pre-Lent to the Saturday evening after Easter (which, strictly speaking, is the end of the Easter octave) there are 70 days. As early as the ninth century, the Monday, Tuesday, and Wednesday that precede Ascension Day were established as days of prayer, fasting, and worship as a formal means of asking God for a good harvest, protection against natural disasters, and forgiveness of sins. Although the Sunday before Ascension Day was not one of the original Rogation Days, the spirit of the Rogation Days influenced the way in which it was observed. This Sunday is the vestige of that historical practice. Middle English, “White Sunday”; so called probably because of the white robes worn on that day by the newly baptized. 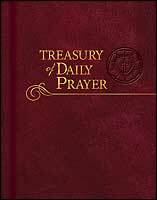 This entry was posted in Christian Church Year, lutheran, Post and tagged Christian Church Year, Church Year, historic lectionary, lectionary, Liturgical calendar, Liturgy, one-year lectionary. Bookmark the permalink.